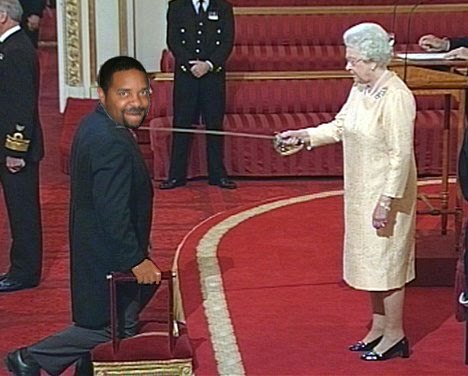 Sir Mix-A-Lot was just known as Mix-A-Lot before he released the song "Posse on Broadway"; a song which instantly struck a chord with the British noble class. Soon after its release he was knighted by Queen Elizabeth in a ceremony which many called "fresh" and "forward thinking". It was Prince Charles' idea to record "Put 'Em on the Glass", a record which came from his own personal experiences of driving through the British country-side while wearing a chinchilla coat, sunglasses, and a Kangol hat.